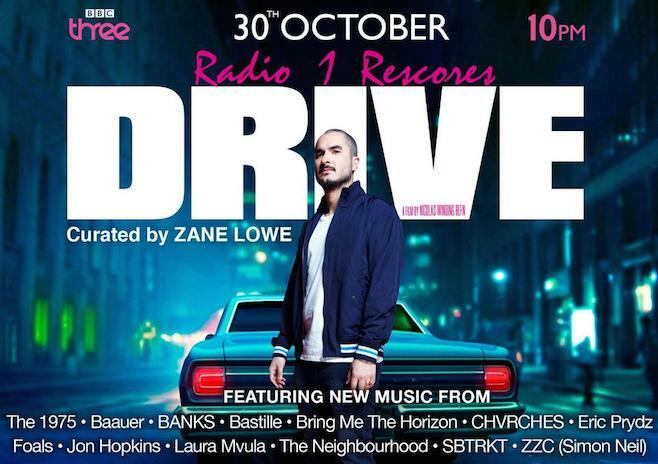 As previously reported, Zane Lowe’s re-scoring of BBC’s Drive has got some crazy names on it, including one of the years biggest explosions, The 1975. Well, now we’ve officially been able to hear the track, which is titled “Medicine,” from the boys across the pond. It’s very different from most of their self-titled record, which fans have absolutely adored and can probably spew every single word of. It’s one of the most relaxing tracks they’ve released. It very shoegazey and fitting for the band. It feels like a chilled out, sedative ballad that reassures the value of this other significant person, as lead singer Matt Healey phases in and out of consciousness. Healy mentions that the track has a nostalgic value for the band. “It’s a new piece of music informed by the genesis of our band and our love for ‘Drive’ as a film.” Check out the song below and don’t sleep on the rest of the songs from the score.